Lay corned beef in stacks of two on a hard surface. Spread 1 oz. of cream cheese onto each stack. Place a pickle directly in the center of each. 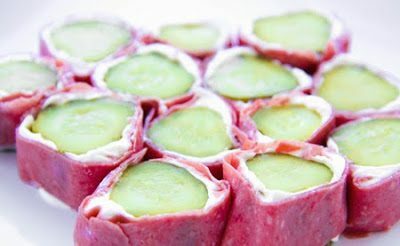 Roll corned beef around the pickles and cut each roll into four equal parts.